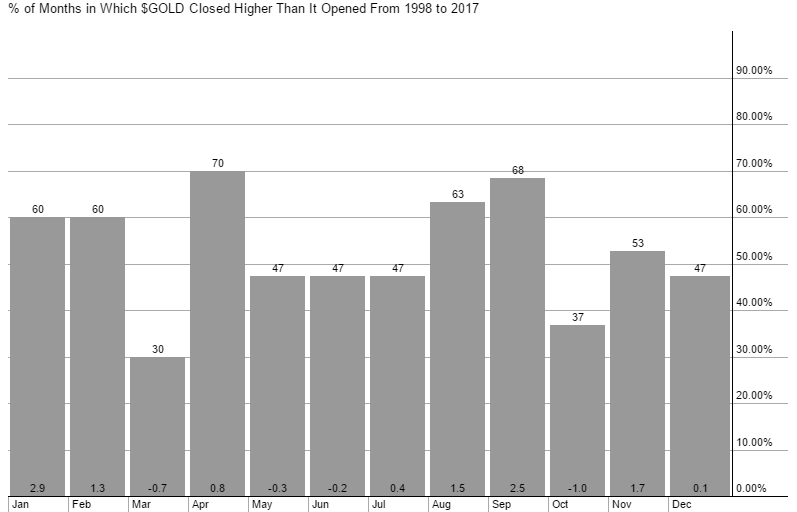 Precious Metals Sector Poised For Correction | Energy and Gold Ltd.
GDXJ’s performance was remarkable, in an undesirable way; against a macro backdrop that couldn’t be much more favorable for the gold sector this was an epic level of futility. Investors in gold mining shares are largely looking for upside leverage to the gold price, full well knowing that they could get stung badly by a big drop in the gold price. 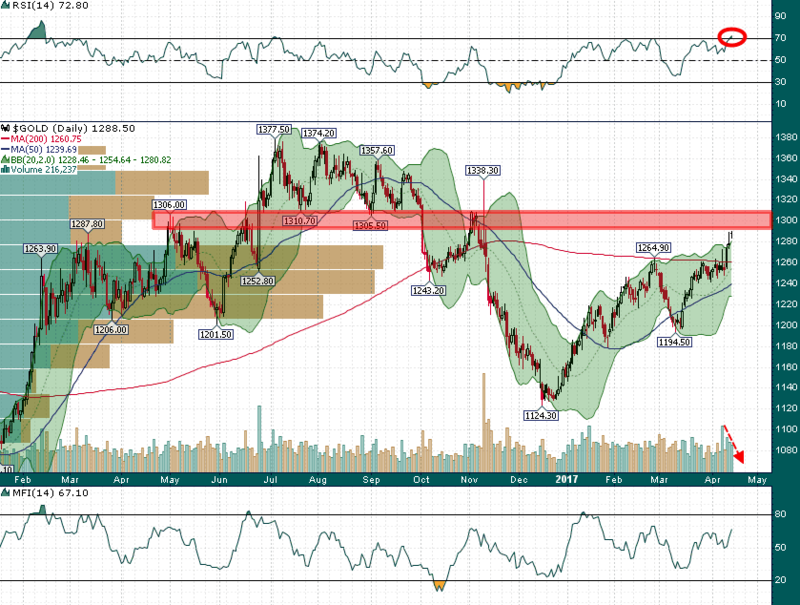 Just please give me big upside returns when i’m right about the direction of gold. Due to significant fund inflows GDXJ has ‘outgrown its sector’ which has forced it to take positions in many stocks which aren’t purely gold focused, there’s quite a bit of silver in there with a sprinkle of copper. Moreover, there are all different tiers of companies in GDXJ ranging from sizable mid-tier producers (AGI, BTG, IAG, etc.) to exploration stage juniors. 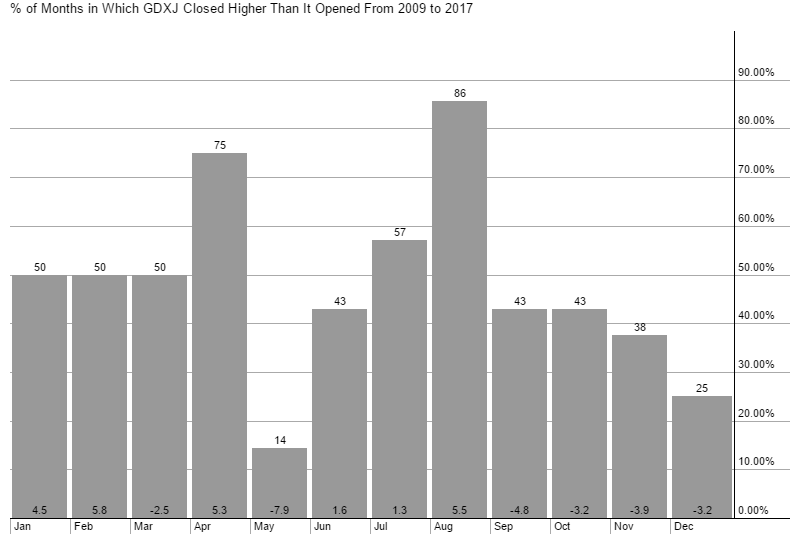 Despite its relatively disappointing performance GDXJ was still a big winner last year and it’s up more than 16% year-to-date which makes it a good target for tax selling to raise money to pay the tax man – some of this week’s underperformance could be blamed on tax related selling. This kind of ‘uneconomic’ selling activity should in theory offer opportunity to arbitrage the performance gap. The leveraged 3x version of GDXJ, JNUG, has temporarily suspended creation orders which means the fund can’t get any larger. This announcement came after the close Thursday, and given that JNUG certainly influences price action in GDXJ some market participants may have ‘traded ahead’ of this announcement. Certainly some of gold’s recent bid has resulted from the fear of war or a confrontation of some sort in North Korea or Syria. If we think about such a scenario in logical terms, while precious metals may perform very well against a backdrop of war mining companies may not perform nearly as well given their geographically diverse operations. Moreover, something which we saw in late-2008 was panic selling which had little do with the actual economic value which stocks offered; even though gold mining shares do offer some level of optionality on the gold price they are still stocks after all, and they can trade for uneconomic reasons for longer than we might think (as we witnessed in 2008/2009). 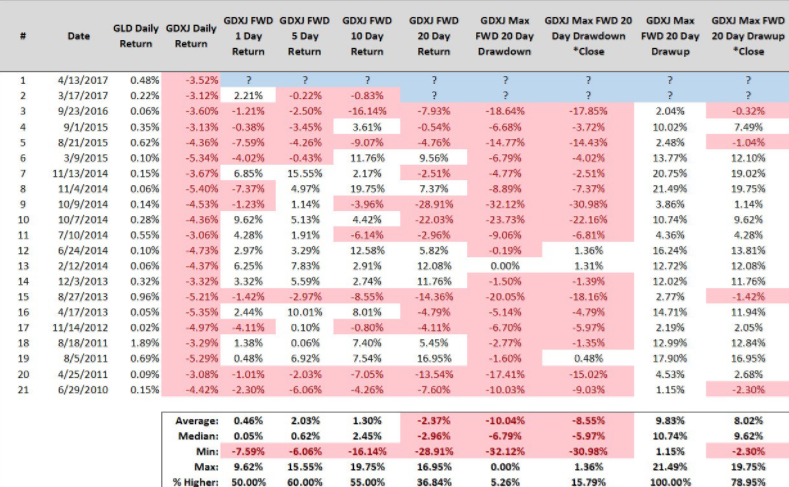 The short term results are actually fairly positive with an average 5-day return of 2.03% for GDXJ. However, looking out to 20 days the results are decidedly negative with an average loss of 2.37% as well as a couple of significant drawdowns of 20%+. The DSI (Daily Sentiment Index) for gold reached 90 at the end of last week – a level which indicates sentiment has gotten a bit overheated. This post isn’t intended to motivate my dear readers to liquidate all of their mining share holdings and go long DUST on Monday morning. 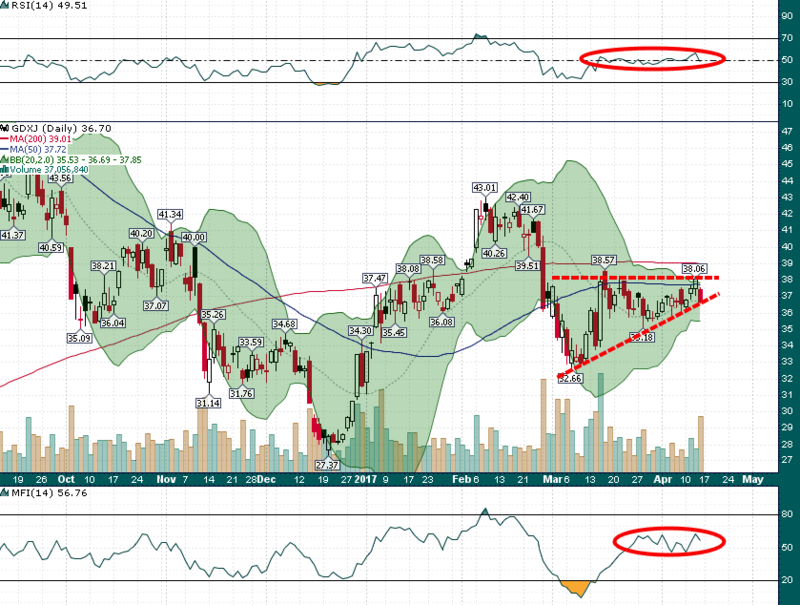 However, some caution is in order and a paring back of risk exposure to the sector is prudent. For example if I had 70% net long exposure to the precious metals sector at Thursday’s close I would look to reduce it to 20%-30% early next week. For short term traders who are nimble and have a disciplined risk management approach a tactical short in GDX or GDXJ could be in order Monday depending upon how things shake out this weekend. To find out how I am trading equities, ETFs, precious metals, and junior mining shares in real time including participating in subscriber conference calls and daily morning market emails subscribe to the Trading Lab today!